Cristy and I met at Reformed Theological Seminary in Jackson, Mississippi and were married on December 27, 2003. I was raised in Slidell, Louisiana and came to know the Lord at a young age. I studied at Mississippi College in Clinton, Mississippi where I received both a Bachelor of Music and a Master of Music in music theory and composition. I graduated in 2006 from RTS with a Master of Arts in Missions. Cristy grew up in Graham, NC and also came to know the Lord at a very young age. She received her Bachelor of Arts in counseling from Bob Jones University in Greenville, South Carolina, and a Master of Arts in Marriage and Family Therapy from RTS. Isaiah joined our ranks on February 6, 2006, about six weeks early. Already the Lord has used him as a ‘missionary’ during his life. 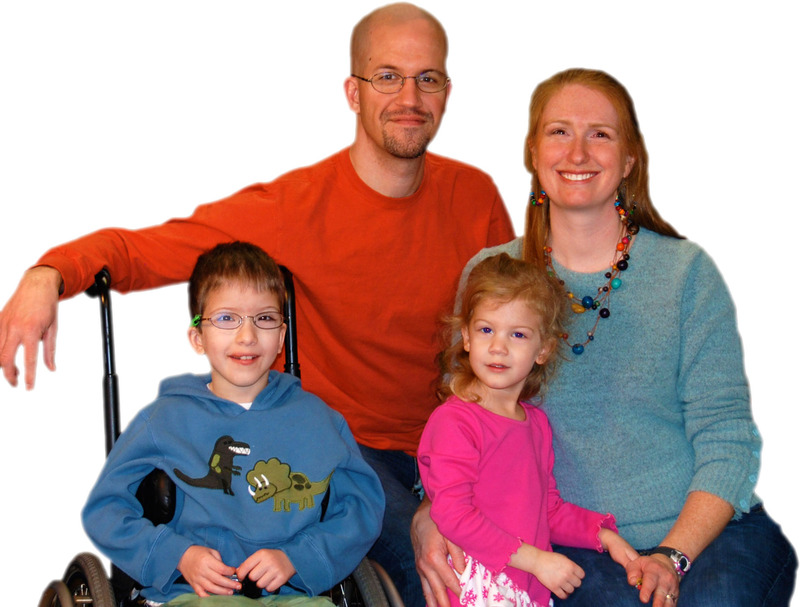 Isaiah was born with spina bifida and hydrocephalus and has ongoing medical needs. He is a daily delight to have around and God has used him to open many doors. Nadezhda Grace (Nadia) was born May 24, 2010 while we were living in Russia. Because she was born on Russian soil we decided to give her the distinctly Russian name Nadezhda (na-DYEZH-da, the “zh” is pronounced like the “s” in “pleasure”). For simplicity sake we all call her Nadia. Her name means “hope” in Russian. She’s already proven to be quite an active little girl with an endless supply of energy. When not busy with life we love the outdoors. We both love to run and have done several races. With the help of jogging strollers, Nadia and Isaiah are frequently able to join us. We also never pass up the opportunity to go on a good hike or bike ride when we’re able. Apart from that we love good food, especially international cuisine (one of the reasons we run), traveling, spending time with friends and just enjoying one another.